The Mud Blog: Colonnade Bike Park Grand Opening! Last month a great new asset for mountain bikers was opened to the public!! Hopefully this park sets a precedent for the rest of the country. 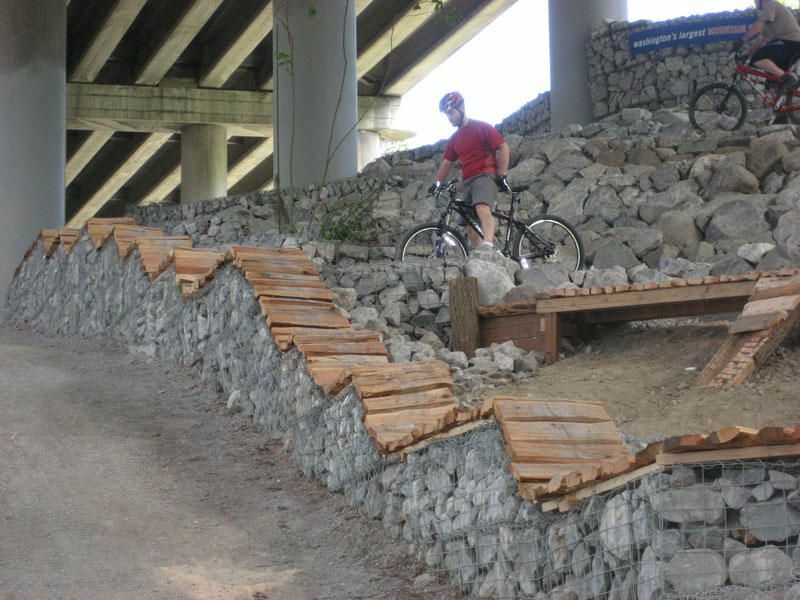 I-5 Colonnade is the first ever urban mountain bike skills park. 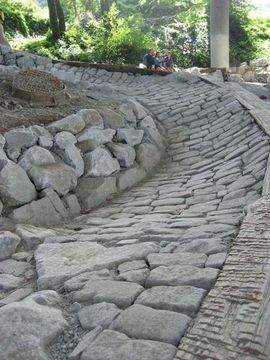 It's part of a City of Seattle park, but was funded and constructed by the BBTC (Backcountry Bicycle Trails Club). The Novice Area (Phase 1) is complete and offers a 1/2-mile tight'n'twisty Cross Country loop trail with several intermediate to advanced options. Phase 2 is under construction and scheduled to be completed by Oct'08. Phase 2 will focus on more flowy advanced trails and offer features like jumps, berms, wall rides, progressive drops, rock chutes, skinnies, pump track, trials area, etc. and a couple of sessionable practice areas. More info: Colonnade Project Page and Colonnade Phase 2 Page.